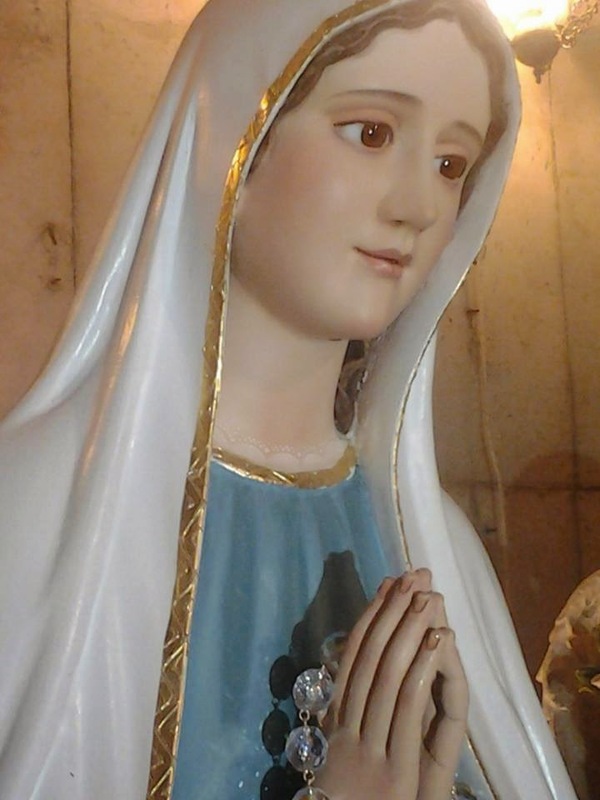 (Most Holy Mary): "My Dear children, continue to grow in the love of the Holy Rosary. The love of the Holy Rosary only grows if the soul truly prays the Holy Rosary with true thirst to love it more, to love the Lord more and top love Me more through the Rosary. The food of the Flame of Love Rosary through the Rosary is the Rosary itself. Therefore, pray it more and more, so that this Flame of Love grows from thine hearts and from thine hearts spreads throughout the whole world. The only thing that Satan fears now is My Rosary. Pray It so that Satan’s plans art increasingly destroyed by the Grace of God and the world finally finds freedom from his satanic game and can live in peace. Pray the Holy Rosary, because thine salvation begins when ye start praying the Holy Rosary. Pray It and do not stop praying it in any way, because when ye stop praying the Rosary, Satan triumphs.